Ever since John Tongue mentioned, sometime ago, that he rarely saw Horsfield's Bronze Cuckoos, I've kept an eye out for them. During the Spring and Summer, I've come across, and several times photographed, Shining Bronze-Cuckoos, but rarely heard or seen the similar looking Horsfield's. In fact, I have seen Horsfield's in only 2 locations. Early in the Spring, there was a pair near the gate in the Meehan Range, and more recently, I've seen them in the Risdon Brook Park. So this morning, with rather overcast conditions, but very still, I spent an hour or so, trying to find the Horsfield's. I had seen Horsfield's in the same location at the Risdon Brook Park on a couple of occasions recently, so decided to concentrate my search there. It's an area on the eastern side of the park that was obviously once farmland. It consists of fairly open poor, rock strewn, pasture, with native grasses and old acacia trees, and a few young eucalypts now growing through. Perhaps, significantly, it's one of the areas where I have seen numerous flocks of Yellow-rumped and Brown, Thornbills. Both of these species build domed nests, which together with the Superb Fairy-wren, probably are the main species parasitised by this cuckoo in Tasmania. 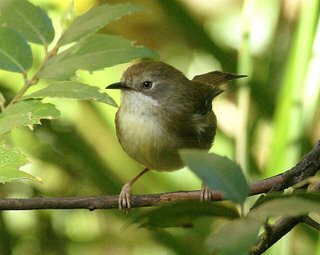 Apparently, some Fairy-wrens have developed an ability to recognise young Horsfield's and frequently abandon them (you can find more on that subject on the internet). I wandered around this area for some time, noting Pallid and Shining Bronze Cuckoos calling, before a short call that I couldn't identify, caught my attention. It had the 'quality' of a cuckoo, sounding somewhat like part of the Pallid's repertoire, but a different tone, certainly not a call I had previously associated with Horsfield's. Walking towards the source, I was passed by a small light brown bird travelling in shallow undulations, but fast--the first Horsfield's, a juvenile. The next hour was filled w ith some exasperation. I eventually found what I assume was the same bird, but this time it was with an adult (image at left). I was quite surprised to find an adult with a juvenile, given that the adult hadn't reared the youngster, but perhaps this regularly happens once the juvenile is fully grown and leaves the host parents. I tried hard to get meaningful photos, but the poor light conditions, and the timidity of the birds, made this difficult and the shots shown here were taken from 50 or more metres away. My overall impression of the Horsfield's Bronze-Cuckoo in the South East at least, is that it has significantly declined since the 70's. I note that my sightings have both been at sites where Yellow-rumped Thornbills are common, another species that has also declined in that time frame, largely I suspect from habitat loss and possibly changing farming practices. Whether there is any real connection is supposition on my part, but it might explain the cuckoo's decline. A Visit to "My" Waterhole. Dragging myself out of the lethargy that seems to have settled over me of late, I recently revisited one of my favourite haunts, the Meehan Range at Cambridge. I set my sights on a few hours of photography at "my" waterhole, that I last visited in early December. Even at that visit, there was little water and it was covered in an uninviting green algae. As I wandered up the track, I was struck by the quietness of the bush, partly I suspect as a result of the dry weather, but equally likely was that for many species, the breeding season has ended. A few birds had gathered at the bridge over the creek, bathing and drinking water that had collected in the vehicle ruts. Superb Fairy-wrens, a few Tasmanian Scrubwrens, Brown Thornbills, Green Rosellas, and Goldfinches, making the most of the few inches of remnant water. On to the waterhole, admittedly with some apprehension. From some way off, there seemed to be a surprising number of birds about. Thornbills in the bushes on the crest of the dam, a few Yellow-throated Honeyeaters and more wrens calling, and Green Rosellas in the Native Cherry bushes. My expectations rose. I made my way up the bank toward the crest, noticing recently broken twigs that suggested that others had been here. The moment of truth! No water--big let down! As I stood there, disappointed (major understatement), I surveyed the waterhole, noting the small dark brown spot where the last of the water had obviously recently been, contrasting against the white of the dead and bleached algae covering the rest. As I stood there contemplating, I became aware that many of the usual visitors were still about. Over the next hour I watched and photographed, the rather sad procession of birds coming, presumably out of habit, to this now dry pool. Many, like the Strong-billed Honeyeater (top right), standing, apparently uncomprehending, on the dry bed. Common Bronzewing Pigeons, Grey Fantails, Silvereyes, Brown Thornbills, Superb Fairy-wrens, Green Rosellas, Blackbirds, Golden Whistlers, and Satin Flycatchers, all paid a visit. Dusky Robins, (photo at middle left), and Scarlet Robins (photo at bottom right, male with juvenile), also visited, but in their case, I suspect they were more interested in the insect life, although both species regularly bathe here. It was all rather sad, and I did wonder how much longer they would continue to return. With very little water available to them in the reserve, what strategy will they employ? Do they do without, go in search of it, or what? The welcome rain over the Christmas period was very patchy and in any event, seemed to dissipate very rapidly. No doubt this is a problem that they have to deal with at some stage during the warmer months, it's just happened so much earlier this Summer. Some of our birds are starting to look distinctly dishevelled at the moment (like the male Scarlet Robin above), but that's principally a result of them starting to moult. For some, regular washing seems to be more of an issue as they lose the waxy sheathes of their new feathers. Possibly the small pieces of 'wax' become an irritant. Hopefully by then, we will have had the much needed rain. To contributors and readers of the 'Birds in Tasmania' blog, I extend seasons greetings. Have a safe and happy festive season. As I mentioned in an earlier blog, Bill & Els reported a possible Little Stint at Barilla Bay. 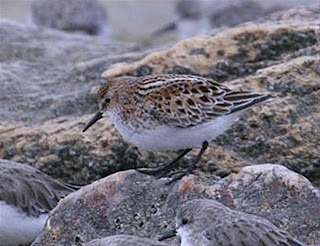 They've subsequently photographed i t and confirmed it is indeed a Little Stint (image at right). A further report of a Red-necked Stint at Orielton Lagoon in apparent full breeding plumage, by Denis Charlesworth, raised the suggestion that this may be another Little Stint, or indeed the same one. They suggested it might be worth following up. So I made a very quick visit to Orielton Lagoon this morning on the high tide, looking for Denis's bird. I did find a small group of Red-necked Stint, possibly 60, but as usual, with my track record of late I didn't find any unusual Stint. Because of my time constraints, the search was less than thorough, but I did sight the usual mixed flock of Greenshank and Bar-tailed Godwit. I didn't come away totally empty handed. 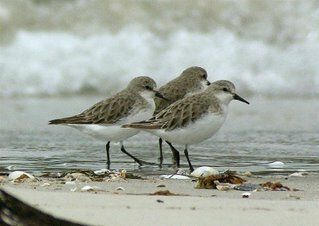 I photographed the 3 Red-necked Stint at right, two of which are showing that they are about halfwa y through the moult of their primary flight feathers. 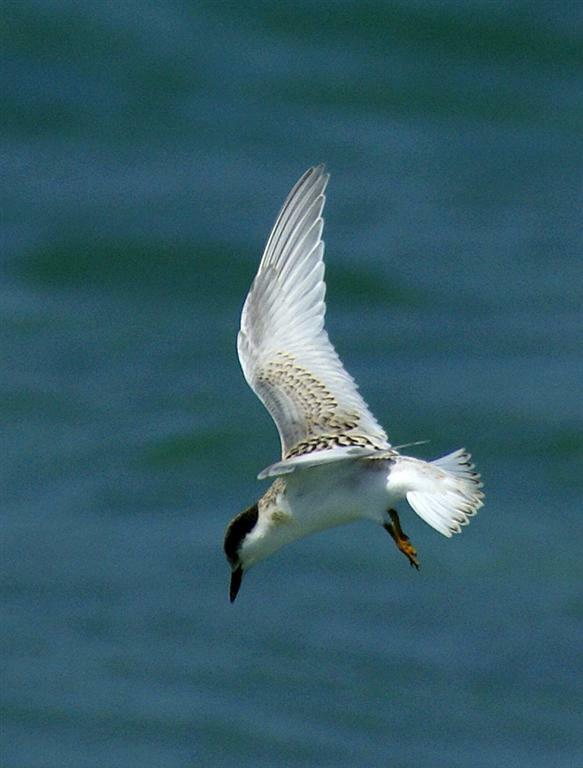 The third, somewhat obscured stint, isn't in moult, suggesting that it's possibly a juvenile. With rather beautiful light early this morning (softened by the smoke haze! ), I managed to photograph one of several Pacific Golden Plover, feeding along the edge of the lagoon, its plumage showing at it's best in the early light. Over the last several weeks, I've walked through numerous areas of bush and forest, and in doing so, gained some idea of the ratio of Scarlet to Flame Robins. There has been, quite rightly, some concern at the diminishing numbers of robins, largely due to habitat loss, and that includes our own Tasmanian endemic Dusky Robin. I've not carried out any scientifically based survey, but have gained a "feel" for the 2 'red' robins around the South East of Tasmania, and make the following observations. In the forest areas that the 2 species are generally found in during the breeding season, the Scarlet Robin is by far the most numerous. The balance leans slightly more toward the 'Flame' in the wetter and denser forest areas, but only slightly. I have noted around 6 to 8 times more Scarlets than Flames. The Scarlet Robin is much more likely to utilise open areas to forage, is more tolerant of human presence, and where the 2 species occur together, will often drive the 'flames' away. Indeed, the Flame Robin seems altogether more timid than the Scarlet Robin, but as often happens, there are some individuals that buck the trend. The red males of both species are amongst the most readily recognised and known of bush birds by the general public, although I suspect that relatively few can readily differentiate them, even less so their drabber female counterparts! The 2 images seen here, were both taken in the Risdon Brook Park this weekend. Top Left, Scarlet Robin male, bottom right, Flame Robin male. I've photographed many White-faced Herons over the years. More often than not, they were standing on the edge of, or in, water, salt or fresh, in flight, or roosting. But I don't recall having photographed them hunting insects, in this case grasshoppers. So here are the images, shot this morning. 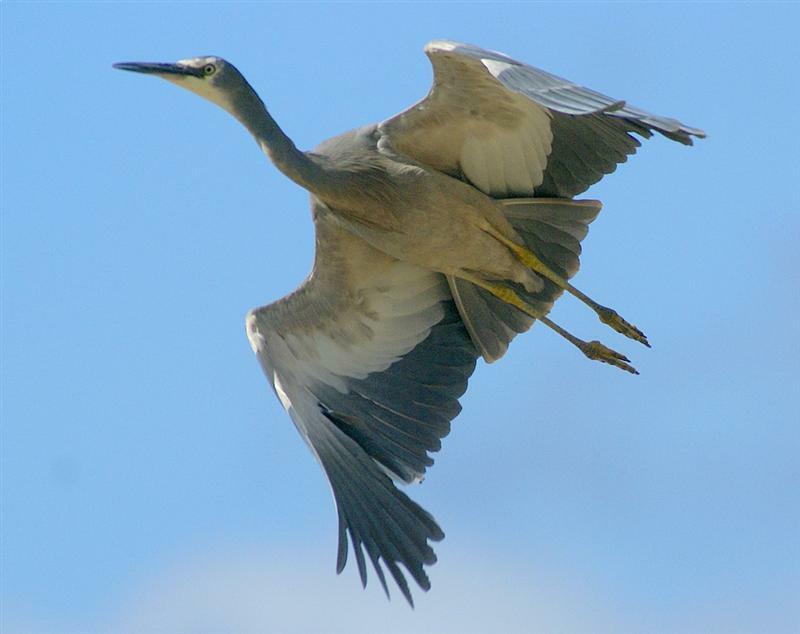 We tend to think of herons as feeding on aquatic life of one sort or another, but in reality, they feed on a wide range of prey. Their ability t o do so is probably the key to their success, as they are found Australia wide. This heron flew in with the youngster, (at right), in tow. By the look of the juvenile, it's only recently fledged, and from my observations over the years, will soon be left to its own devices.The adult heron used a similar hunting technique to Cattle Egrets, which given their close affinity, shouldn't come as a surprise. However, Cattle Egrets seem to catch insects more by stealth, or by following stock as they disturb potential prey. This heron appeared to walk through the grass disturbing prey as it went. Then having found the insects, grasshoppers, stalked and caught them with a quick stabbing action which seemed to work pretty much 100% of the time. It caught probably 20 or more in the short time I watched it. The juvenile took no part in this, and the adult made no attempt to feed it--perhaps it learnt from the experience. Last Friday, I detoured from the Orford Fairy Tern colony, to visit Little Swanport (Saltworks Reserve). I was fotunate to arrive there just as a couple of fishermen were cleaning their catch on the launching ramp. 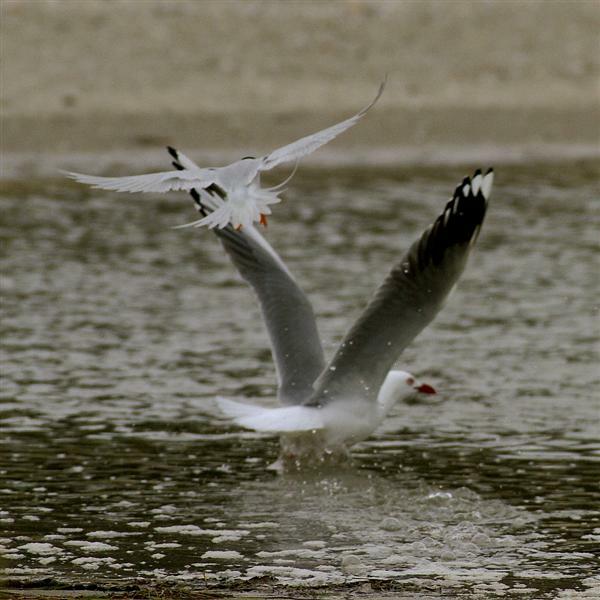 This event drew in Pelicans, K elp, Pacific and a few Silver Gulls, to fight over the spoils. By and large, the Pelicans won, only their reluctance to get too close, allowed the gulls an occasional feed. While taking the accompanying shots, I realised that one of the Pelicans was considerably smaller than all the others. I took a few shots of this (one on left), but I was all too eager to get shots of these fantastic birds in flight, and forgot all about this until I came to review the images on the PC. This shot of the 2 Pelicans, give some idea of the size difference. I'm aware that the males are bigger than the females, but this small bird, seems to be very small, and it's not an illusion! Has anyone seen a similar size differential? I've managed to limit myself to 'only' two shots of Pelicans in flight, but I think this is when they look their best. The Australian Pelican is Australia's largest flying bird, and according to several sites on the internet, has the World's largest bill. On Friday, I decided to drive up to Orford to see how the Fairy Tern colony was fairing, and get some more photographs. What I hadn't thought of was that the area would be covered in smoke from the Wielangta Forest/ Kellevie area fires. The same smoke that covers much of the South East of Tasmania. Perfectly OK for seeing how the terns were going, not too good for photography. To cut a long story short, I detoured to Little Swanport, where conditions were marginally better and spent a few hours there, and I'll blog something on that later. The detour proved fortuitous, as by the time I returned to Orford, a fairly strong sea breeze had come up, and the smoke had pretty much cleared. I spent the next hour or so, watching and photographing the Fairy Terns. The good news was that there appeared to be around 10 or so juveniles on the wing. Priscilla Park, who arrived some time later, counted 9. If your looking for a challenge, you could do worse than attempt to photograph flying Fairy Terns! Very frustrating, with a high perce ntage of failures. Thank goodness I'm not shooting with film. I spent some time trying to photograph the juveniles in particular,(bottom 2 shots at right) as they tried their hand at fishing. 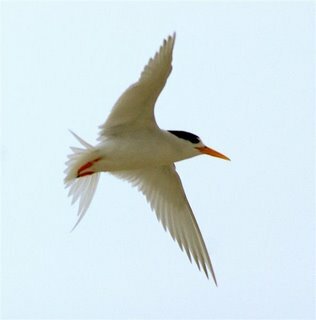 Looking at the shots of the juveniles, it wouldn't be too difficult to think they're of a completely different species of tern, as they look distinctly different from their parents. The youngsters seemed to have grasped the rudiments of fishing, but although they dived, they appeared to only pick food off the surface, and I didn't observe any plunge below the surface. I also noted some nuptial feeding (one adult presenting a fish to another), so it's possible some pairs may attempt a second clutch. This feeding ritual may, of course, be restricted to unsuccessful pairs. Either way, with the holiday period fast approaching, there will be considerably more human disturbance at this site. More good news was the approximately 6 pairs that appear to be nesting at Little Swanport, where they too will have much to contend with over the holiday. Beautiful birds, among my favourites. Please click on the images to enlarge and see their full beauty. I visited Gould's Lagoon briefly, mid week, and John Tongue has since sent me info. on an excursion he and his wife Shirley made on Thursday, to Kelly's Dam. Gould's had much reduced numbers of waterfowl, but on the credit side, there were far less ferals! Perhaps they're seeking richer pickings elsewhere. 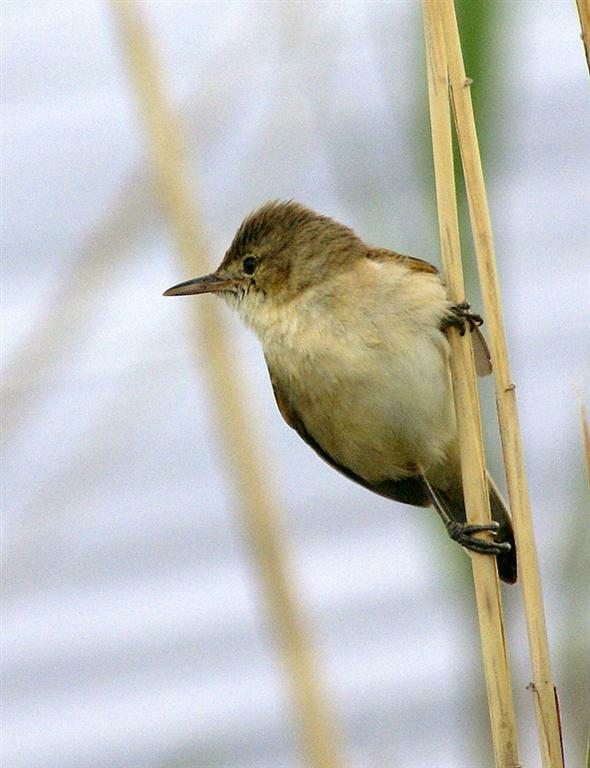 One bird that is very evident at the moment is the Clamorous Reed Warbler. As usual, they're calling loudly from the reed beds, but, if you want to photograph them and are patient, they often 'prop' on the reed stems in front of the public hide, where the accompanying shot was taken. There were small numbers of Chestnut Teal, Shoveller, Black Duck, a pair of Wood Duck, Coot and a pair of Kelp Gulls nesting on the nest box in front of the hide. A pair of Swamp Harriers frequently pass overhead, predicatbly causing some birds to act rather nervously. Still worth a visit, if only for the excellent views of the warblers. 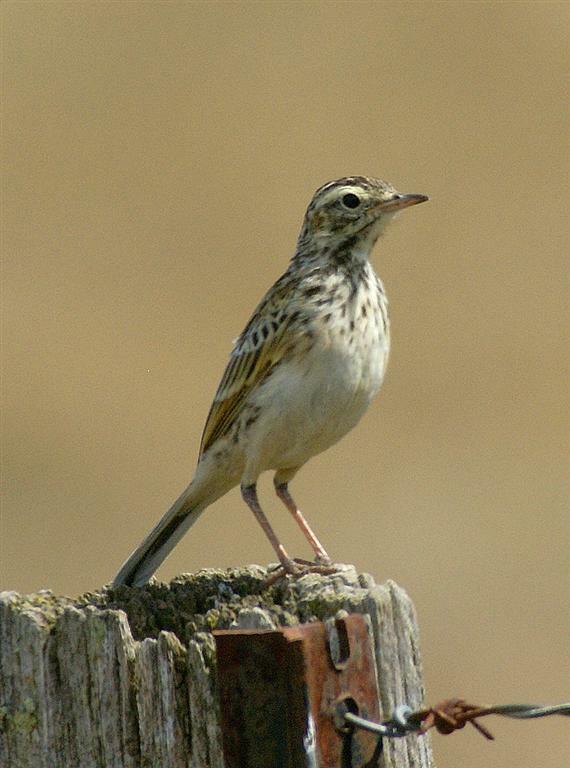 John and Shirley Tongue suggest, that in the present dry conditions, waterbirds are seeking refuge on farm dams. During a visit to Kelly's Dam, on the Prosser Rd., near Richmond, they found the water level down, but still fairly good numbers of birds. They included, Musk Duck, Chestnut Teal, Coot, Black Duck, and 14 Hardheads, an uncommon species in Tasmania. Also present, a solitary Dusky Moorhen and a circling White-bellied Sea Eagle, eyeing off the 'smorgasbord'. John Tongue also reminds aspiring Tasmanian Twitchers, that registration for next month's event closes on Dcember 31st. Entries are trickling in, but John urges potential contestants to get their team together and register soon. If you want more info., then e-mail John at jspk@iprimus.com.au or phone him on 62346535. A trip to Marion Bay this morning found modest numbers of waders. At the spit end was a small mixed flock of 7 Knot and 15 Bar-tailed Godwit (photo at bottom) They seemed pretty determined to feed on the rising tide, but were still pretty wary of close approach. Although Knot are reasonably common in Tasmania, numbers seem to have declined in recent years and the 7 recorded here, is the largest flock I've seen in recent times, (photo of 3 of the Knot at top). As I walked back along the outer side of the bay, I heard the soft piping call of Hooded Plovers and was just quick enough to see a flock of 7 pass me by as they flew off towards the spit. 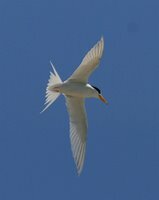 I walked on, thinking that the beach was near empty of birds and perhaps I should have walked back along the inside beach, when another unmistakable call , this time Fairy Terns, brought me out of my 'trance'. This flock of 5 adults, noisily passed by and landed on the beach some 50 metres or more away. I then realised that I really had been walking in a trance. 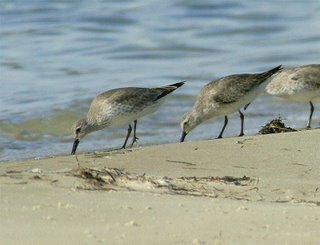 They had alighted amomg a flock of 20 or so Red-necked Stint feeding on the sea's edge, which I must have passed unseen. Further scanning through my binoculars, produced a total of around 150 stint along the shore--I really must concentrate more! On the drive back along the track, I was pleased to see several Striated Field Wrens, the first I've seen in this area for so metime, although I suspect they're quite common here, if the habitat is any gauge. While I was writing this, Bill Wakefield rang. He too had been "wadering", with more success than I had. He had seen a Little Stint and a few Pectoral Sandpipers with Sharptails, at the Northern end of Barilla Bay. So if I get a chance, guess where I'm heading! An early morning start in the Meehan Range, largely to avoid another confrontation with "dog lady", saw me meandering up the road towards 'my' pond. I'd only gone a few hundred metres, when I noticed a bronzewing in the dappled light of the track. It waddled across the track, and although it was far too far away (30+ metres) to get a good shot, I took it anyway! 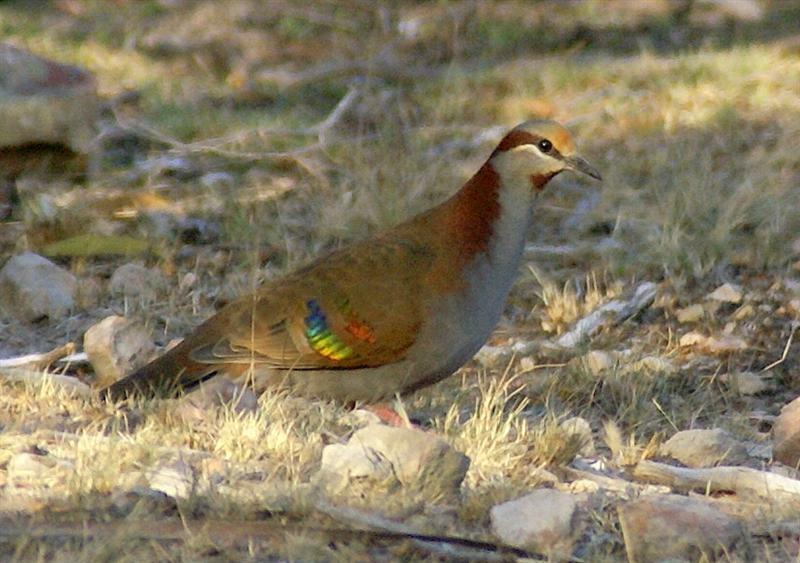 I've many times flushed the odd bronzewing or two here, and I've often wondered what the attraction is--probably the acacia seeds. I walked on and it took off with the usual clapping of wings and I quickly lost sight of it. As I 'tuned' in to the many bird calls, I became aware of the noise of a high flying jet, probably some 30 or 40 thousand feet above. High flying jets are none too common at this latitude and this was 4 engined, rarer still. A quick shot. I spent the next hour or so at 'my' pond, at present only a shadow of its usual self. A few inches of stagnant water is all that's left, but as there's little or no water in the creek either, it continues to attract the birds. I stood amid the scrub on the crest of the dam and noted the coming and going of numerous birds, and attempted to photograph those that ventured near me. 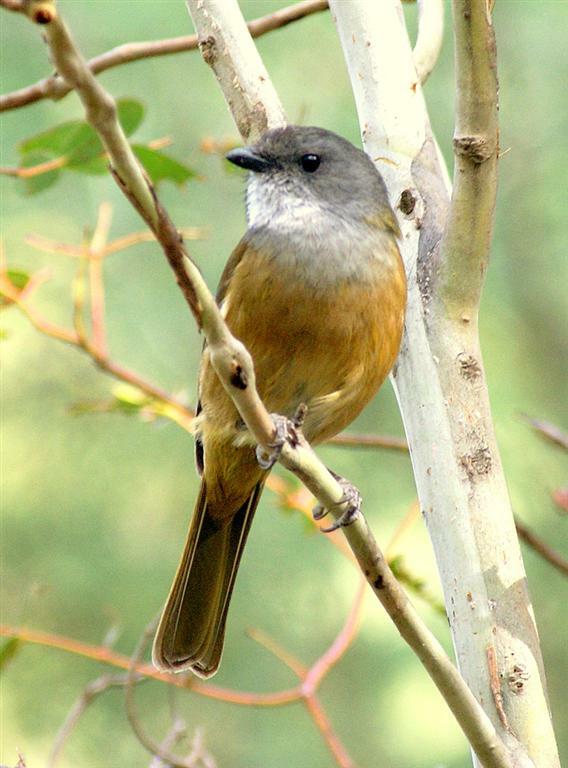 At present, the most nume rous are the Brown Thornbills, followed closely by family groups of Strong-billed Honeyeaters. Some days the most numerous are the Silvereyes, but strangely not today. Green Rosellas, always very wary, watched from nearby saplings for some minutes before venturing down to bathe. One of these Rosellas landed in a yellow flowering shrub only an arms length in front of me, and proceeded to lick the pollen off the flowers, while I just stood stock still and enjoyed the moment. Cramping up somewhat, I moved, flushing an unidentified Bronzewing from the edge of the water, probably a Common, by far the most numerous here, as I did. I hadn't observed its arrival, but I suspect that it had landed some way away and walked in, as I have observed them doing often before. Other visitors included Scarlet and Dusky Robins, Grey Fantails, Golfinches, a solitary Beautiful Firetail, and numerous and quarrelsome Yellow-throated Honeyeaters. I saw only a single Black-headed Honeyeater, and I suspect that they, as largely leaf gleaners, have suffered more as a result of the recent fires. After about an hour, the wind started to get up, a frequent occurence of late, and I decided it was time to leave. An enjoyable morning, but it hadn't quite ended. 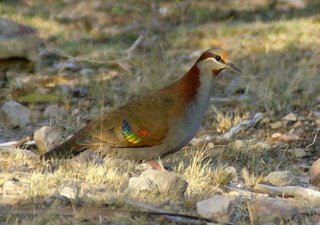 While looking closer at the many images I had taken--it's not unusual for me to take a hundred or more shots in a morning, good job it's digital--I looked closer at the bronzewing image and found it was Brush Bronzewing, not the expected Common. They're not uncommon, but generally found in wetter areas than this, and the shot's not that good, but it's the first image of this species that I've managed to get in a year of photographing birds. 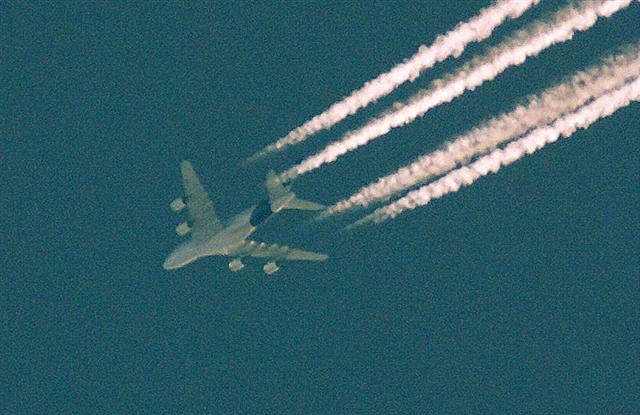 As I moved onto the next image, the high flying jet, I realised that I had photographed an Airbus A380. This is the so called, double decker Jumbo, yet to go into airline service, on a proving flight to Sydney, via the South Pole, which was why it was flying over Hobart. For me, an aircraft enthusiast as well as a birder, this was a great sighting--I hope the birding purists will forgive me for blogging it! Bill & Els write: Sunday's pelagic trip off Marion Bay produced only 3 species of albatross, which was disappointing. 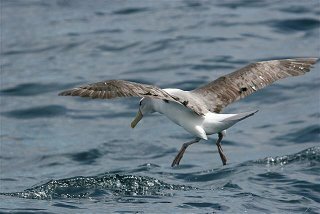 They were c70 Shy Albatross (image at right), 3 nominate Black-browed and 2 Wandering Albatross. Fairy Prions were around in small numbers most of the day, though not close enough for any great shots. 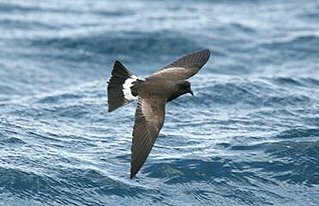 One Long-tailed Jaeger and 3 Arctic Jaegers, 3 Southern Giant Petrel, 1 Great-winged Petrel, 3 White-chinned Petrel, 4 or 5 Grey-backed Storm Petrel, 5 or 6 Wilson's Storm Petrel (image at left), 1 White-headed Petrel, 5 Sooty Shearwater, 1000s of Short-tailed Shearwater, 2 Fairy Penguins. Miracle of miracles, no one was 'crook' despite the rather 'uneven' surface of the water! I was sitting in front of my PC first thing this morning, contemplating where I might go birding, even in the light rain and overcast conditions, when I received an e-mail from Bill & Els. 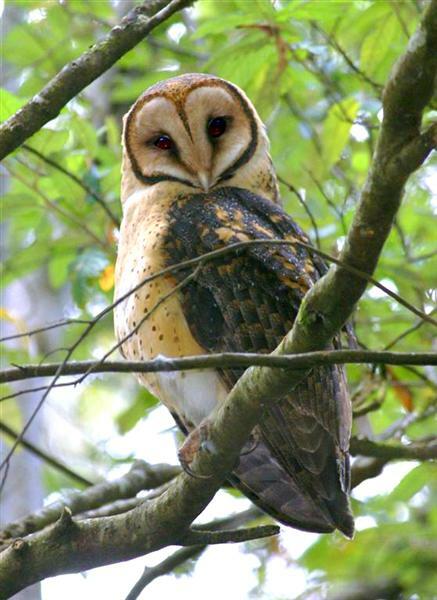 The gist of the message was that a Masked Owl had been found by Kerry Williams, a visiting birder from Adelaide, in the Truganini Reserve at Taroona. So the decision where to go was made for me! Off to Taroona. I had directions from the e-mail, although it didn't mention how far in to go, and for some reason I expected it to be close to the entrance! After I'd walked a kilometre or so, I was beginning to have doubts whether I'd find the Owl, however I soon found the marker, but no Owl. Fortunately another early morning walker arrived and after a general discussion on birds, turned, pointed, and then asked me what the large bird up there was. Obviously someone with far superior eyesight to mine, for there, as you will have guessed, was the Owl, some distance, but still in the general vicinity of where Bill had seen it. I've never been very satisfied by photographs I've taken of Owls, perhaps, in part, it's the fact that they've usually asleep, and there is only so many ways to photograph them. This Masked Owl was no different, and the difficulty was to find a way to take shots without too much vegetation getting in the way. At one stage it was very much awake and started to stretch its' wings, as you can see in the lower image, but this action only alarmed me as I thought it might be the precursor to taking flight. It also spent a deal of time preening, delicately passing feathers through its bill, as it straightened them. Despite our presence it finally went back to a rather fidgety sleep, puffing itself up to preserve warmth. Shortly after leaving another birder approached, Ron Spencer, who I'd spoken to on the phone several times, but never met in person. The grapevine was working well! I've omitted giving precise directions to where the bird's roosting, but if anyone requires information on where these shots were taken, you're welcome to contact me at the e-mail address. Thanks once again to Bill & Els for the timely information. I had a call from Bill Wakefield recently, telling me about a sighting of an unidentified wade r near the mouth of the Clarence Plains Rivulet at Rokeby. The consensus was that it was probably a Common Sandpiper, a less than 'common' wader in Tasmania. Since then I've made a number of visits of short duration to the site with nil results. Of course it could be anywhere along this rocky coastline, from the rivulet to Howrah. In the past Common Sandpipers were regularly seen on the rocks at Bellerive Bluff, but with increased disturbance, that is not likely these days. At the rivulet there is often a roost of Pied and Sooty Oystercatchers, Pacific and Kelp Gulls, and occasionally White-faced Herons. They're somewhat inured to human disturbance--the road is only a few metres away-- and the birds are often very approachable. The White-faced Heron (at top), flew over me as I approached, and landed a short way up the beach, returning as I left. With increasing cloud cover and the threat of rain ( which rarely seems to eventuate these days), I moved on to Pipeclay Lagoon. While watching a pair of Pied Oystercatchers with 2 well grown young hurriedly moving them into a nearby paddock, I heard the unmistakable call of Fairy Terns. On further investigation I found the 2 birds at right, presumably a pair, fishing in the lagoon. 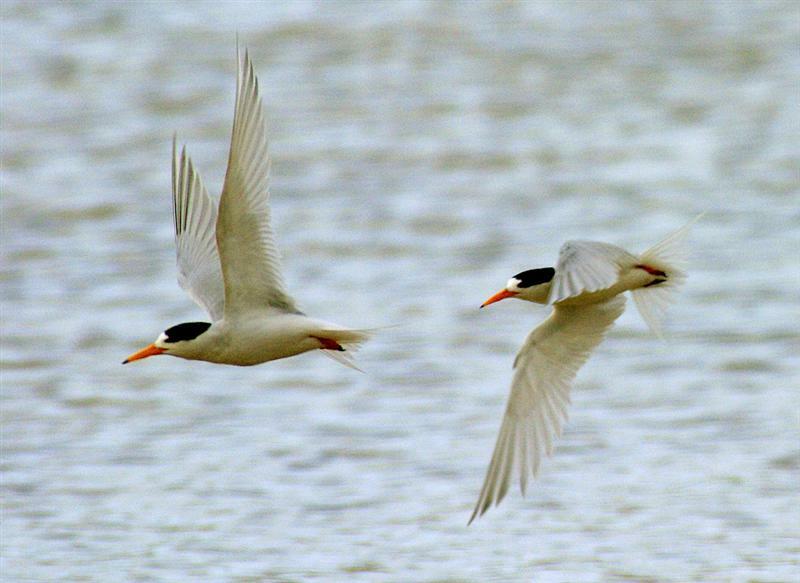 These terns are occaisonally seen here, but usually later in the Summer, post breeding. Strangely, I couldn't find the usual flock of waders (Curlew Sandpiper and Red-necked Stint), but with recent very high tides, they may be roosting on the dry bed of nearby Calvert's Lagoon. It was with some trepidation that I ventured back into the Meehan Range, the first time since the fires. 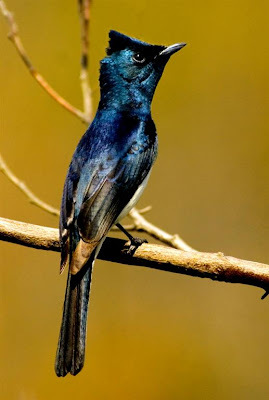 One of my goals was to see whether the breeding habitat of one of the most stunning of Summer migrants, the Satin Flycatcher, had survived the fires. As I trundled up the track, I could see the mosaic of burnt areas and recall the birds that until recently, occupied them. I think the biggest losers were probably the Tasmanian Scrubwrens, that always seem to have a tenuous hold here at the best of times, surviving as they do, in the depths of the thickets in the creek gully, much of it now gone. On the brighter side, I counted no less than 7 pairs of Scarlet Robins, with males busily singing, as I walked the kilometre or so to the area usually frequented by the Satin Flycatchers. As I arrived at my destination, I flushed a pair of Kookaburras. I can't say that they're my favourite bird in this habitat, being all too deadly on small birds, as I've witnessed on many occasions. 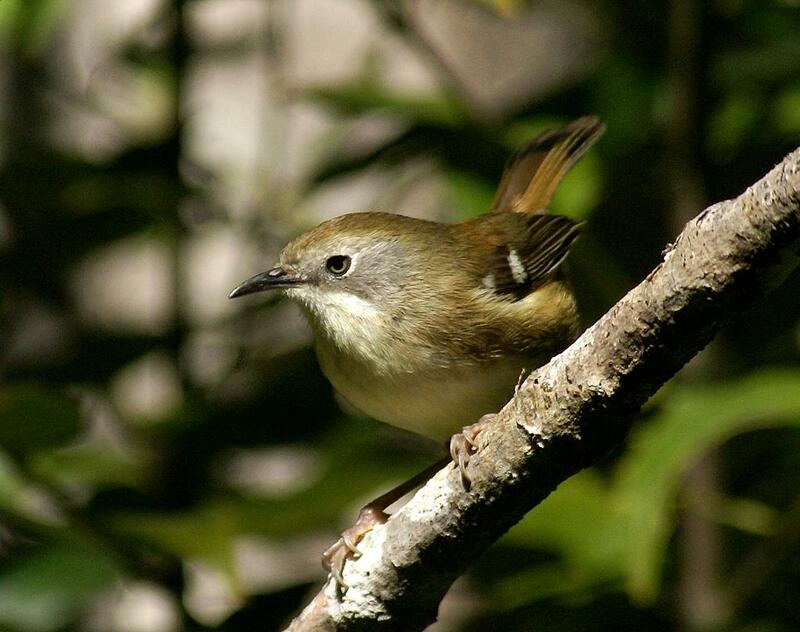 After they had departed, I saw a succession of small birds, including, Silvereyes, Brown Thornbills, Grey Fantails, Superb Fairy Wrens, Dusky and Scarlet Robins. Overhead the entire time I was there, rather like an all seeing surveillance drone, I could hear and sometimes see a Swamp Harrier. A succession of honeyeaters kept me interested, Strong-billed and Black-headed, a pair of Eastern Spinebills, and a solitary Yellowthroated. At last, in the distance I could see a male Satin Flycatcher. It was slowly approaching, feeding on the odd flying insect as it did. It then stopped and called. This is when all the action took place! 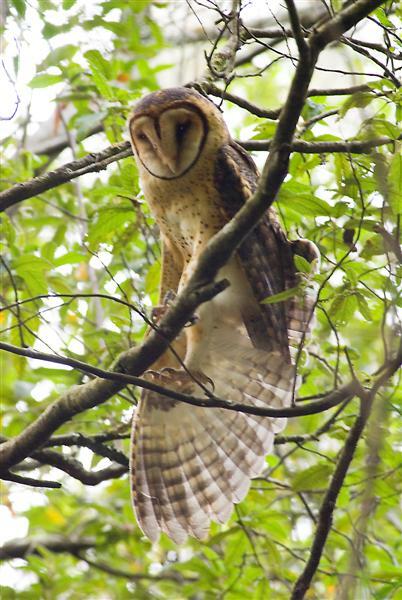 Another male, having approached unseen by me, responded. Both now had a "verbal" duel. Their rasping calls, brought the females into view. Obviously the 2 pairs must have a common territorial boundary about where I was standing, because shortly, there was a brief, but spirited fight between the males, before they both retreated back into their own domains. I had chosen my spot well, apparently, because during this exchange, I managed to get a few shots of one of the males, pictured. I never think that any photograph really does them justice. The depth of colour and the way that it changes as they move, is difficult, if not impossible, to convey. But I was releived to see they were back and in a relatively unburnt area. I no doubt will return to try again to photograph them during the Summer. I've seen a good few Scrubtits over the years, but I have to confess that I've rarely spent much time actually watching them going about their business. Having photographed all the other Tasmanian endemics, I set about trying for the Scrubtit. Scrubtits spend much of their time on the vertical sides of moss and lichen covered trees, in deep shade rarely suitable for photography. The habitat is temperate rain forest, with scattered trees ferns. It's damp and dingy. I spent a good number of hours and made several trips to get even the shots you see here. It was interesting to watch Tasmanian Thornbills, Tasmanian Scrubwrens and Scrubtits as they fed around me, in a relatively clear area that I thought had some likeliehood of producing results. All 3 fed at different levels often in close proximity of one another. The Scrubwrens fed largely on the floor of the forest, often among fallen and rotting vegetation. 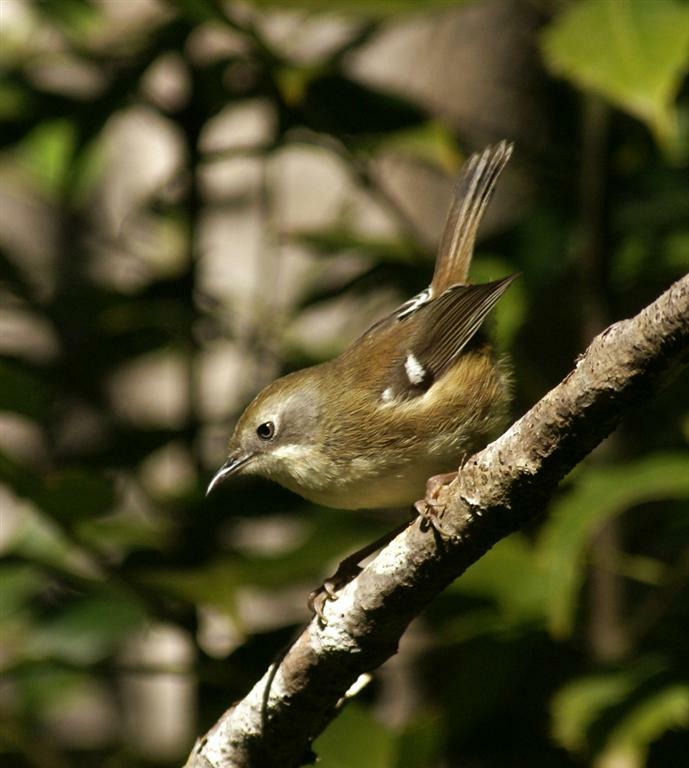 The Thornbills were leaf gleaning and the Scrubtits were, as mentioned, feediing on insects among the moss and lichens on the trunks of trees. All three species were surprisingly tolerant of my presence, although I was in deep shade and reasonably camouflaged. The Scrubwrens and Thornbills came within a metre or less of me, but I wasn't so lucky with the Scrubtits! On several occasions all 3 species quite suddenly and quietly vanished, and it took me some time to work out why. While looking around I realised I was being watched! From behind the trunk of a tree, I noticed the unmistakea ble head of a Black Currawong eyeing me off, then taking flight as I moved. Several Currawongs had been calling from high in the tree canopy, but had silently descended. From these interactions, I suspect that the young of these three small species, may form part of the Currrawongs diet at this time of year. Few other birds were utilising this habitat, only the occasional Pink Robin and overhead, small groups of Strong-billed Honeyeaters, noisily pulling bark off as they searched for insects. Despite the long vigils, I count myself fortunate to have spent that time almost exclusively among Tasmanian endemic birds. In reply to a question I posed in "Always Welcome" about how common Welcome Swallows were prior to European settlement, Tas. Boskell has researched the subject and replies: As Welcome Swallows were in Australia when Europeans arrived and as structures built by the Aboriginal population would be unlikely nest sites , we must assume the swallows used natural features. John Gould, most probably using information from early naturalists such as George Caley, as well as his own observations, states in his Handbook that the "natural" nest sites of the swallow were in "deep clefts of rock and dark caverns", but began using human structures when the opportunity arose. Littler in his 1910 Handbook of the Birds of Tasmania, includes in his list of nest sites, "the side of a cave, inside of a hollow tree". Louisa Meredith writing in the 1850s, records swallows nesting in farm buildings and also the granite areas of Schouten Island. It seems clear that swallows did not depend on humans for their nesting sites. 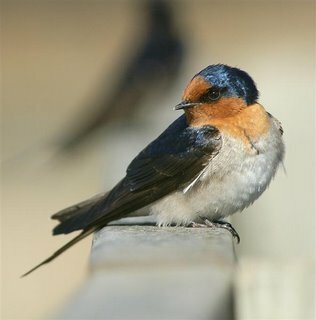 However, did the settlements in Tasmania influence the number of Welcome Swallows? Furneaux in March 1773, Cook in January 1777, and Bligh in February 1792, all visited Adventure Bay on Bruny Island, but Welcome Swallows were not collected or reported. It would be strange indeed if swallows had been present, that they would not have been noticed by members of his party and been reminded of the 'English' Swallow. The French Expedition under D'Entrecasteaux made its second passage through D'Entrecasteaux Channel in January and February 1793, but there are no records of the swallow. Baudin's Expedition in January and March 1802, not only spent time in the Channel Area, but also visited Maria Island and some islands at either end of Bass Strait. 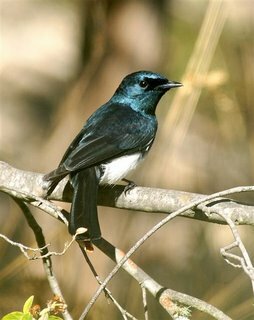 The only record of a swallow is in Baudin's Journal--"a type of swallow which perches in trees". Viellot, (1817) who examined some of the specimens collected on the voyage, describes the Tree Martin which could be the bird referred to by Baudin. 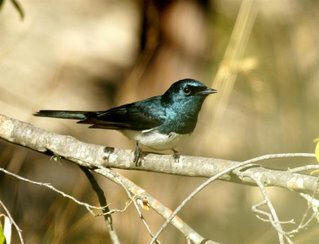 As the specimens collected by D'Entrecasteaux were mostly lost and those from Baudin's expedition studied and kept in a disorganised manner, it is possible the Welcome Swallow was among those collected but later lost. Bass and Flinders visited the Tamar and Derwent Rivers during their October to December circumnavigation of Tasmania in 1798, but there is no mention of swallows amomg the birds they noted for those areas. As for settler records, the earliest is from G. Hobbler who records swallows about the river near his home at Kilafaddy in late August 1829. In 1834 he records them nesting under his verandah. R.C. Gunn in correspodence with Dr.J. Grant, discusses the classification of the Welcome Swallow and Gunn says a pair nested on the back porch of his Launceston home for six consecutive years--1831 to 1837. T.J. Lempriere records them at Port Arthur in September 1842. According to records compiled by N.J.B. Plomley, the Tasmanian Aborigines in 3 localities of the East Coast, had seperate names for the "swallow". However, the reliability of this information, dating from the 1830s, is questionable due to language and history interpretation issues. Apart from game (food) birds, information on bird species for the period 1803 to 1835 is very scarce. Specimens and records were generally sent to English authorities for classification. As Gould is credited with officially naming the species in 1842, it seems no credible description or specimen reached Europe before that time. More information from the time before 1830 is needed before we can be sure about how European settlement affected the numbers of Welcome Swallows, but it is nice to think they actually increased, because they are one of the few species which, in the main, had the goodwill of humans. Photos. 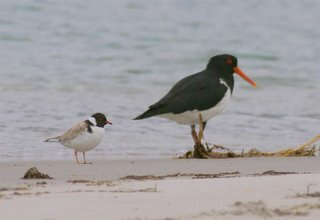 show some of the inhabitants: from top: Fairy Tern, Red-necked Stints and a Hooded Plover and Pied Oystercatcher. Well, with a great deal of help really! On Friday, I set out for a mornings photography in the Wielangta Forest, but increasing cloud and smoke haze saw me driving up the forest road to Orford. 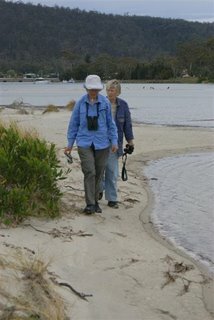 Quite by chance, I came upon a couple of Birds Tasmania volunteers, doing a survey of the Fairy Tern colo ny at the mouth of the river. 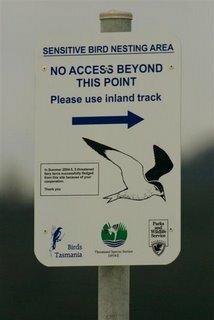 Birds Tasmania and Coastcare, with some assistance from Parks, have fenced off and look after an area that has something of the order of a dozen pairs of Fairy Terns nesting. 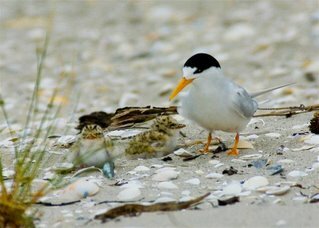 Mostly at the moment they have small runners, as seen in the top photo.. Fairy Terns these days, very much need all the assistance they can get. Once found nesting on many parts of the Tasmanian coast, including parts of the Derwent Estuary, their numbers have been in serious decline for 2 decades at least. Choosing to nest on open beaches, the combination of human disturbance and higher sea levels, have taken their toll. Only with the help of volunteers and hopefully the local communities understanding, will they survive in Tasmania. 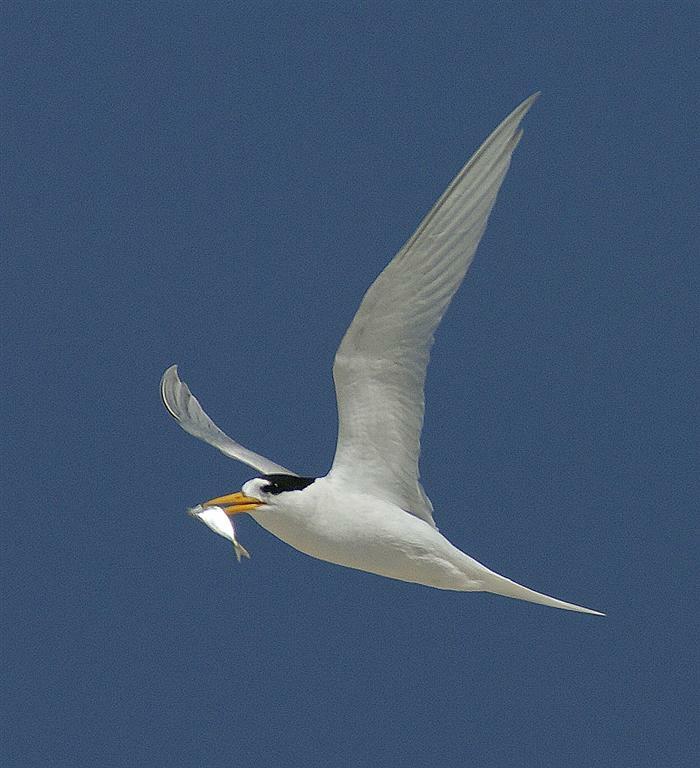 At the moment, the terns are probably at their most vulnerable, with their small young needing constant attention. I noted while with the BT volunteers, that our presence attracted the inevitable Silver Gulls, no doubt looking for a 'handout'. Despite their small size, the terns take on the gulls with considerable gusto, as you can see from the lower photo., and drive them off. If we got a little too close, they gave us the same treatment, passing less than a metre away. Other species also benefit from fencing off the area, with Hooded and Red-capped Plovers, and Pied Oystercatchers all breeding here. Thank heavens for the volunteers! 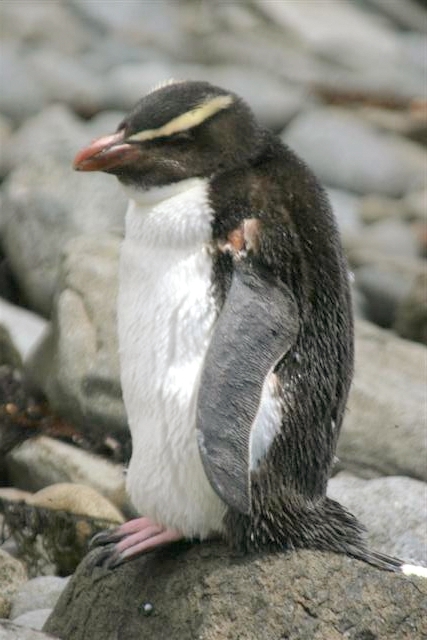 Bill & Els write: On Thursday, as we were about to head off to catch the ferry at Darlington, Maria Island, two of our party said they had just seen a penguin sitting on the edge of the sea about a kilometre down the coast. Thinking "oh yeah, it's got to be a Little Penguin", I asked about the size of the bird. To my surprise, I was told it was at least knee high if not taller. The next question as to whether it had any other markings, was answered with " yes, there were bright yellow stripes on each side of its' head". This triggered an immediate response, with us throwing our rucksacks to the ground and running as fast as we could in the direction indicated. Sure enough, right on the waters edge stood a Fiordland Penguin. Unfortunately the bird had been injured, having a tear of skin exposing the left shoulder joint. From what I could make out at the distance, the joint and its tendons appeared intact, so that there's every chance that the bird may survive. The rangers were notified, and were seen to be present around the bird as we left, heading back to Triabunna after a great few days walking on the island. 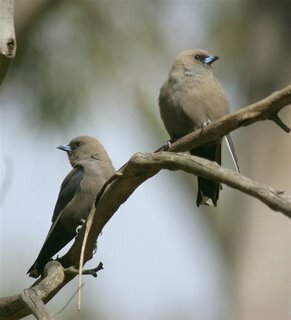 Pardalotes, these Dusky Woodswallows were photographed in the Peter Murrell Reserve last weekend. For me, they are a much anticipated summer migrant, usually arriving in October. I think they have what one might call "character". They are surprisingly confiding while nesting, and these birds pictured, were obviously setting up territory. I say obviously because they were chasing off any other birds that came close. That included 2 Eastern Rosellas, which they really got stuck into. Unfortunately, there has been a noticeable decline in numbers over the years, at least in Southern Tasmania, and I suspect elsewhere. Some of the decline around Hobart could be put down to development of housing estates and the destruction of the open dry eucalypt areas, preferred by this species. 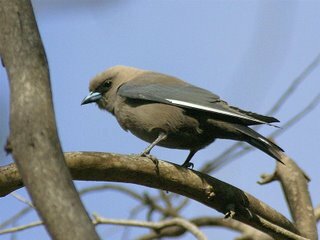 I can take you to many areas around the South that had colonies of woodswallows breeding about 20 years ago. Nowadays, they are noticeable by their absence. At one time I believed that there were more woodswallows here in wetter years, but in the mists of time, I can't really recall what I based that on! In the Autumn they can be seen in small groups hawking from power lines and fences. Occasionally in much larger flocks, rising in the thermals, sometimes with Needletails, feeding on flying insects. One Autumn, I watched a large flock of woodswallows at Bridport, rise in a thermal to several hundred feet, and disappear offshore to the North. I also had a sighting of a flock of around 200 birds, this time on the East Coast of Flinders Island, that as late as June, that did similarly. I think both instances were probably examples of bird migration, a rarely seen event in Tasmania. Some years, a few overwinter.